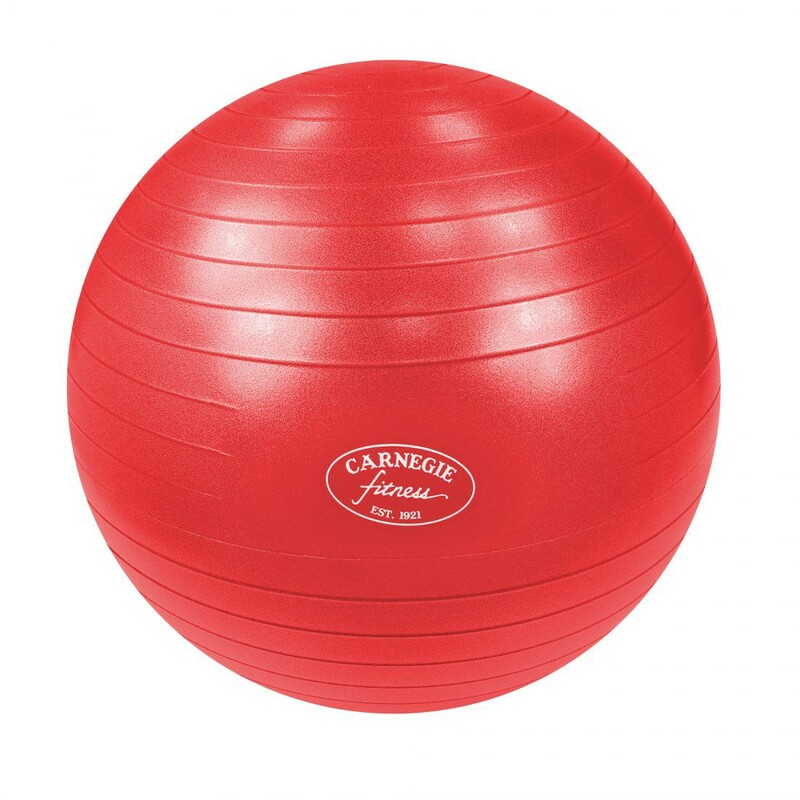 Buy Carnegie Gymnastic ball Ø 75 cm Massage ball Fitness ball + pump, suitable for self-massage from Carnegie Fitness at Camping Outdoor online. The gymnastics ball is resistant to 300 kg bursting and produced without any toxic chemicals. A practical ball pump is included in the scope of delivery, so that the fitness equipment is ready for immediate use. If the air is drained, it fits in every baggage and can also be used without complications on holiday in the hotel. The red ball has a diameter of 75 cm - it is particularly suitable for persons with a height of over 189 cm. Back problems? Sitting is uncomfortable for you? 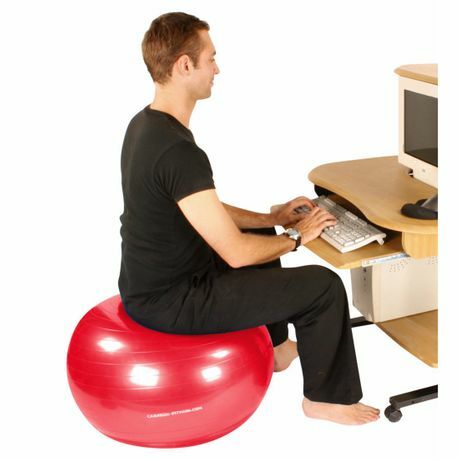 Try the ball as an office chair, your lumbar vertebrae will thank you for it. A ball holder is available separately as an accessory.